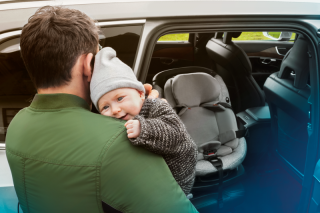 Buying a new car seat can be very confusing, it can be difficult to figure out which stage seat your child needs, particularly when there may be several suitable stages to choose from. Not only that, but you also have to make sure the seat fits the cars it will be used in, as well as your child. Once you have figured out what stage seat you require, the choice can still be confusing, with large differences in price and different child car seat features. This blog looks at those features of a car seat, what they do and why they’re useful. Child seats can come as either belt fitted, or ISOFIX – sometimes they have both options! While both ISOFIX and seat belt fitment is safe when the seat is correctly fitted, ISOFIX is considered easier to fit and it reduces the risk of incorrect fitment. Seat belt restrained seats may have a seat belt tensioner, which will help you to achieve a tight fit. A slack seat belt is a very common error, so a tensioner is a useful tool to help you ensure the seat is firmly fitted. ISOFIX seats tend to have a third point of anchorage, the first being the ISOFIX attachment itself. The third point of anchorage can come in the form of a support leg or a top tether. A support leg is more commonly found, however these generally cannot be used on top of a floor storage box lid. A top tether attaches to an approved top tether point behind the vehicle seat. The purpose of the third point of anchorage is to reduce the pivotal movement of the seat and absorb energy in a collision. Some child seats will come with a headrest within the seat and this helps to support the child’s head and neck when they are asleep. Seats with an integrated headrest also tend to have the harness attached via the headrest, so to adjust the harness, you simply ‘click’ the headrest up or down to gain the correct height. Other seats may have a re-thread harness, which requires you to take the harness out of the seat and re-thread it at the desired height, which can be quite time consuming, and also carries the risk of the harness being re-attached incorrectly. The features described above are present on many car seats, and car seats without them are certainly not unsafe or dangerous. The features are designed to make the child seat simpler to use, so if you are not confident fitting a seat, or changing the harness, they are certainly worth looking at! Our very own Good Egg Safety Expert, Kat, took over the Britax Twitter page last night to hold a Q&A. She received some great questions and you can find the answers below! Q: I’d love to know the laws on taxis and car seats. Kat: Under 3's - no seat required no seat belt. Over 3's - no seat, adult seat belt. Children should be in rear. We would prefer to see seats used whenever possible though! Q: Hi Kat, when is the law coming in for rear facing longer? Kat: iSize came into effect in July 2013, it's part of R129 and will be fully implemented by 2018. R44 seats are still legal to use. Q: When Picking A Car Seat, Especially One That Will Go Behind The Driver What Is The Best Kind Of Seat To Go For? Kat: It really depends on your child's weight and height, what car(s) the seat will go into. Britax fit finder is a great tool! 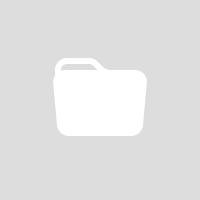 Q: What are your top tips travelling abroad this summer and hiring cars or using local taxis? Kat: We have a great blog on flying with young children which covers what to do with car seats abroad. Q: My littles one's car seat only goes up to 13kg and he's already 10kg at 6 months lots of bigger ones are forward facing. Kat: There are combination rear facing car seats available that offer rear facing to 18kg/25kg the Britax Fit Finder tool can help you find a rear facing seat. Q: I know SIDS can occur in car seats. How can I ensure my 7 month old is safe and always breathing on long journeys? Kat: Always ensure you plan regular breaks into car journeys to give your baby plenty of time to stretch. Q: Is there an easy way to temporarily disable airbags if the child rides on the front seat? Kat: You need to check your vehicle manual, as each car can differ in how to disable the airbag - some cars don't allow it. Q: I've always planned to stay rear facing as long as possible but my 2.5yo is tall and it's getting difficult. What's the new law and recommendations? Kat: We have a great blog post on this which explains iSize. Q: My son is 15.6kg, I plan to buy a 2nd car seat for use in grandparents car, should I buy a 15kg+ or an upto 18kg? Kat: Your son is safer in a 5 point harness until 18kg, so long as he fits in the harness. the Britax Evolva is a great 123 seat, harness to 18kg and then it converts to HBB. Britax's fit finder will tell you if it fits your car. Q: What car seat is best for extended rear facing for new born or 9 month old I have an isofix Britax car seat and base? Kat: It really depends on the child and if it fits the vehicle, Britax's fit finder can help you highlight suitable seats. Q: Is it best to rearward face as long as possible? Kat: Yes we recommend that you rear face for as long as possible. Q: Do car seats expire after a length of time? 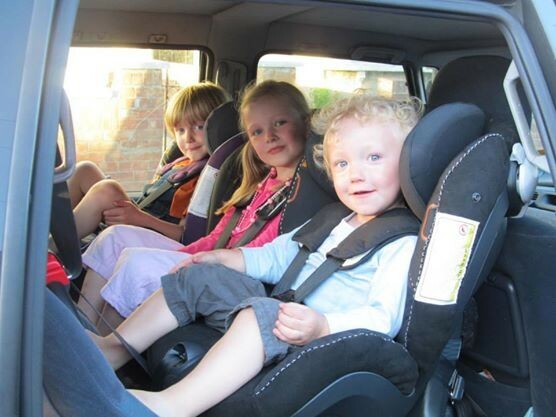 Kat: Our blog explains car seats and expiry. Q: Is there anywhere you can get the car seat fitted properly? Kat: Good Egg run checking events throughout the country, and have a retailer charter. Q: Height, weight or age. Which is most important?! Q: I want to keep my 18 month old rear facing long as possible. Is it less safe if running out of leg room? Kat: No, legs are in very little danger when rear facing and very unlikely to get hurt. Q: What age/weight is rear facing recommended to? Hoping to use my brother in law's old seat for new baby, is this still OK? Kat: We recommend rear facing for as long as possible. Our blog will help with re-using a child car seat! Q: What are the most important points to look for when choosing a toddler car seat? Kat: That the seat is suitable for their weight and height, fits all cars it will be used in, is easy to fit and the level of side impact protection. Q: We don't have isofix in our car, does that mean our car seat isn't as secure/safe? Kat: Not at all, belt fit seats are safe, just ensure the seat is compatible to your vehicle and fitted correctly if you have a Britax seat, the fit finder can help you confirm it's compatibility. Q: Is the max child height 105cm for all rear facing car seats? Kat: No the 105cm only applies to iSize car seats. Q: When we move onto the next stage seat should I take weight or height into consideration first? Kat: It depends what seat you've got, as to when it's outgrown - but it's weight or height, whatever comes first. Q: Realistically to what age can you rear face until? I'll be checking the height/weight but roughly what age? Kat: To age 4, although some seats (such as the Britax Multi Tech or Max Way) will go to 25kg - approx age 6! Q: Does certain clothing effect the safety of a harness on a car seat? Kat: Yes. Thick, puffy or bulky clothing can cause an unsafe harness fit - best to remove all coats before strapping in! Do child car seats expire? The question of 'do child car seats expire' can be a confusing matter. There are many differing timescales given, and car seats in the UK do not come with a stamped expiry date. It is not always clear when a car seat becomes unsafe to use, and there are car seats on the market designed to last 11 years. Child car seats in the UK are tested to regulation 44, of which there have been several amendments. These are shown as R44.01, R44.02, R44.03 and R44.04. Child car seats may alternatively be tested to the new car seat regulation R129 (iSize). Car seats tested to R44.01 or R44.02, are now illegal to sell and use, and car seats which have been tested to R44.03 are likely to be quite old. R44.03 was introduced in 1995, so seats carrying this approval could be up to 20 years old! Both of these car seats carry R44.03 approval labels! Many manufacturers recommend that you replace or upgrade your child car seats after 5 years, because child car seats are constantly being improved and upgraded, and a new car seat will be able to provide better protection and comfort than an older car seat. A good example of this is the increased availability of Swedish extended rear facing car seats in the UK, or new iSize seats. Swedish rear facing car seats, which prolong the excellent safety offered by rear facing. New iSize car seats pass more stringent testing such as side impact testing, and also require children to rear face for longer. What about the 10 year limit? Child car seats should not be used for more than 6-10 years, which was a recommendation from America that has been adopted throughout Europe. Over time, the materials of a car seat will begin to degrade, so an old car seat may not perform as it should do in a collision. It does not mean that car seats which are more than 10 years old are dangerous to use, provided they meet the correct regulation, are in good condition, with the harness intact and they are fitted and used correctly (and suitable for the child). However, there have been large advances in child car seat safety and a newer seat will provide the very best protection. We do not recommend using a second hand car seat, visit our second hand car seat series to find out why. What is a group 1, 2 extended rear facing car seat? A group 1, 2 car seat is a combination group seat which can accommodate a child from 9kg through to 25kg. They are called extended rear facing as they typically keep children rear facing to 25kg, around 6 years old. This stage seat can be used after the group 0+ infant seat has been outgrown, it is an alternative option to forward facing group 1 car seats. The seat is normally outgrown when the child’s eyes are level with the top of the car seat, although it is important to check the manual for the seat. Extended rear facing BeSafe iZi Plus, which has a 0 - 25kg weight limit, approx 6 months to 6 years. Why would you keep a child rear facing after the infant seat? Traditionally, children in the UK are moved up to a forward facing seat once they hit 20lbs or 9kg, yet they are much safer travelling rear facing. In Sweden, children have travelled rear facing until they are 4 years old since the 1960’s, and they have extremely low numbers of children getting killed or injured in road traffic collisions. Rear facing car seats after the infant seat allow children to be better protected from the forces of a collision. In an impact, a forward facing child is restrained by the 5 point harness or impact shield. The harness or shield stops their body travelling forward when the vehicle crashes, restraining them in their child seat. However, their head is not restrained and continues travelling forward. A young child’s head is 25% of his or her body weight, and in a collision this puts large amounts of force and pressure on their fragile neck and spine. When a child is rear facing, they are pushed back into their child seat, which keeps their head, neck and spine aligned. This greatly reduces the force their body is subject to, as it is spread through the back of the child seat. 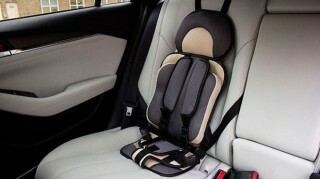 Extended rear facing child seats also carry other benefits, such as view, comfort and a reduction in driver distraction. Many parents and carers are concerned a child will have an obstructed view when travelling in an extended rear facing car seat. This is understandable, as we are so used to seeing babies in little infant seats facing the vehicle seat. However extended rear facing seats are higher up and set further back than infant seats, giving a child a fantastic view out of the back and side windows. Rear facing car seats offer just as much comfort as forward facing car seats, and have all the same features such as great recline options, head support and softly padded covers. They offer the same comfort and support for younger babies, and for older children, rear facing car seats can be more comfortable as their legs are fully supported, rather than hanging off the end of the seat. Many extended rear facing car seats leave a gap for leg room. Are forward facing car seats dangerous? No, forward facing car seats don’t put children in danger – they have hugely reduced the number of children who are killed or seriously injured in road traffic collisions in the UK. However, they are not as safe as rear facing car seats, due to the physics involved in a collision. It is important to rear face your child for as long as possible, at least until the maximum weight and height limit of their group 0+ car seat – this is when they weigh 13kg, or when the top of their head is level with the top of the seat, approximately 12-18 months. If your child is outgrowing their infant seat by height, but has not yet reached 13kg, a group 0+1 combination seat can be a good option to allow you to continue the benefits of rear facing. 1) The crash dummy has been updated – the crash dummy can now measure more points of force on a child’s body than the dummy used in R44 testing. This now includes being able to measure neck loading, which R44 dummies cannot do. This data has shown that a child who weighs 9kg and is 9 months old is not protected in a forward facing seat, and that they are far safer rear facing. 2) Children must rear face to 15 months by law in an i-Size car seat – this will eventually apply across all seats. Even if you don’t have an i-Size car seat, you can still rear face your child for longer in a group 0+1, or group 1, 2 car seat. 3) A new mandatory side impact test has been introduced. This is not tested under R44.04. 4) The seats are selected by height, over weight. 5) The harness must be easy to adjust, and the covers simple to remove – this will be music to the ears of anyone who has spent a Saturday afternoon fighting the car seat cover! Are they more difficult to fit? Yes, extended rear facing car seats can be more difficult to fit, although it does depend on what seat you get. A majority of extended rear facing car seats have additional tether straps which must be fitted. Once your tether straps are fitted into your car however, they simply click to the attachments on the child seat. If you will be moving the seat between vehicles, we recommend buying a spare set of tether straps to leave fitted in the second car to reduce fitting time to that of a 'regular' car seat. Although there is a good choice of rear facing group 1, 2 car seats available, you are unlikely to find them in major retail stores. Extended rear facing car seats are typically available from independent retail stores. You will find extended rear facing car seats available online, however Good Egg Safety discourages online buying as you will not have a member of staff to show you how to fit your seat in the car.